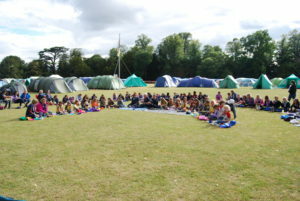 Quest is Girlguiding Oxfordshire’s county camp. The camp is held every five years and includes hundreds of Guides, Rangers, Leaders and international members coming together to enjoy an activity packed camp. The next camp will be in 2020 and plans are underway to hold the camp near Faringdon at the end of July. More details will be posted here and in the members’ area, including booking forms and information on the activities.